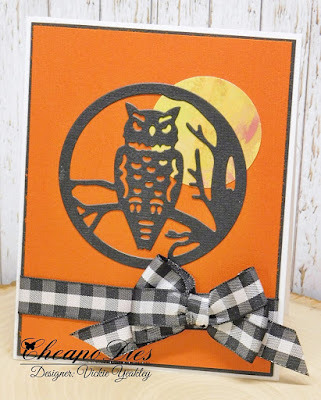 Vickie Y sharing with you a full October moon behind the die cut using the Exclusive Cheapo Die Owl Scene. 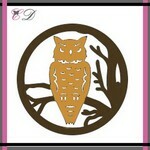 The "moon" was created using a circle punch and patterned paper, the owl scene die was cut using black cardstock. 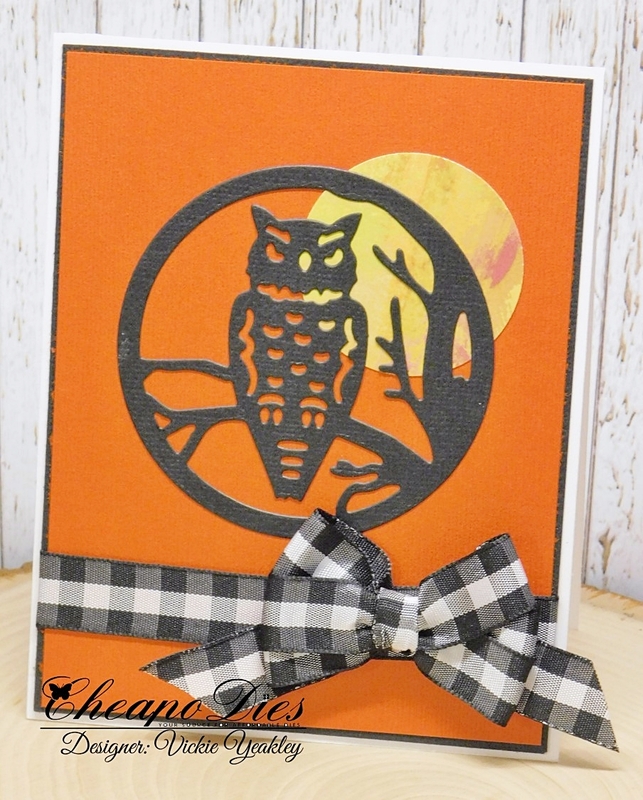 A very easy autumn card embellished with a large gingham triple looped bow.